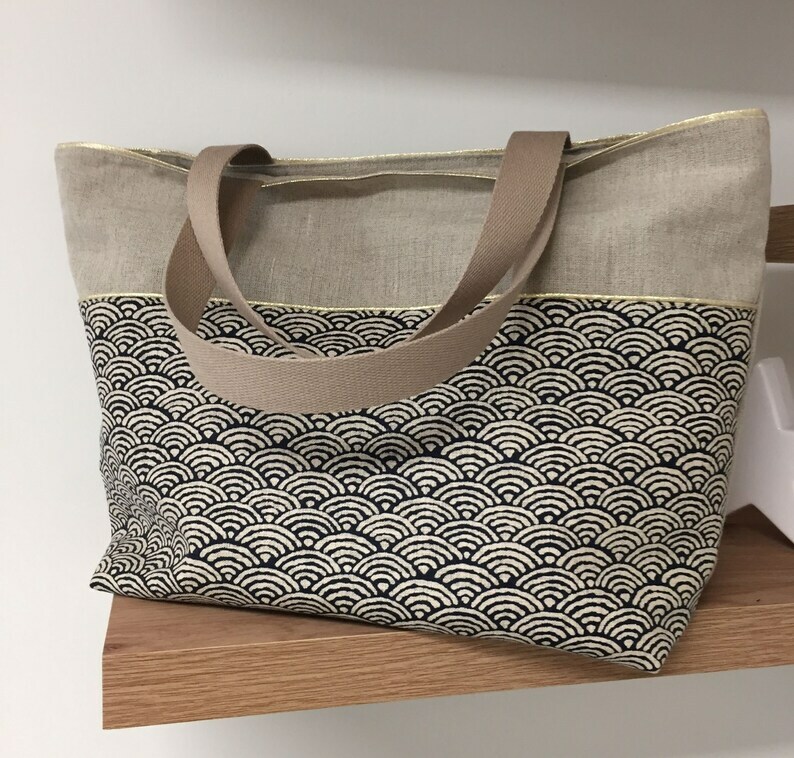 Shopping bag in linen and Japanese fabric, shopping bag in canvas, large women's tote bag, fancy tote bag with its golden details! A shoulder bag ideal for a student, but also an elegant and bright bag for a pretty woman! Made of real natural linen, it is strong but lightweight, and will not deform under the weight of its contents. It is decorated on the front panel with an yoke of original Japanese Seigaiha fabric (night blue and beige wave motifs) enhanced with a golden border. Practical with 2 large handles in beige cotton strap, which make it easy to carry on the shoulder! The inside of the bag is fully lined with a night blue linen and a golden magnetic button closes the bag opening. A large coordinated zipped inside pocket will allow you to store your most precious belongings!